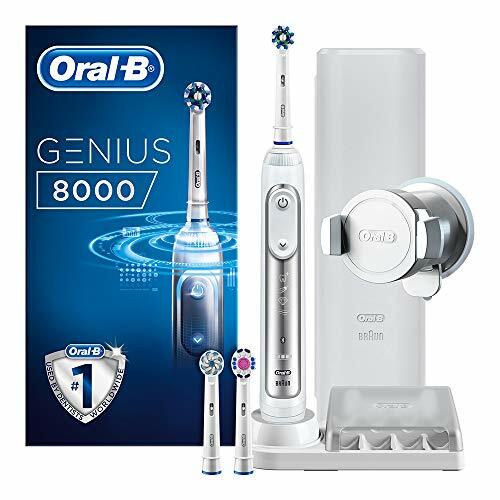 For those of you that like more detail, you can read our full Oral-B Genius 8000 review further down the page or watch our video review. No, far from it, the 8000 is a very capable brush, sitting just below the most premium Genius 9000. The criticism of this brush is really the value for money when compared to other models and the buggy/fiddly position tracking technology that has been so heavily promoted with the Genius range. The 8000 scores a commendable rating of 4/5 in this review. Whilst not perfect the brush aims to promote good oral health, which cannot be knocked. The fact that you are considering the Genius 8000 may suggest that you are looking for lots of features and are not particularly put off by price. However, this assumption may be wrong. If you want the best of the best with all the cleaning modes and all the bells and whistles as it were, then the 8000 scores pretty highly, but you may want to take a look also at the Genius 9000, it is the better buy in our opinion. 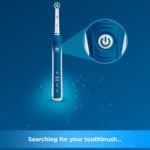 If you are after a good all round toothbrush, but are not bothered about the smart features and would rather save yourself a few pounds, the the Oral-B Pro 2 2500 is our recommendation. If you are really not sure where to start or what to look at, we’ve also created a list of recommended brushes with advice on which features to prioritise, which it certainly worth taking a look at. 3. Where’s the best place to buy the Genius 8000? Typically we recommend Amazon because it is very competitive on price and often has special offers running more frequently than others. It also offers free delivery. None-the-less it is always worth checking out other retailers as well. 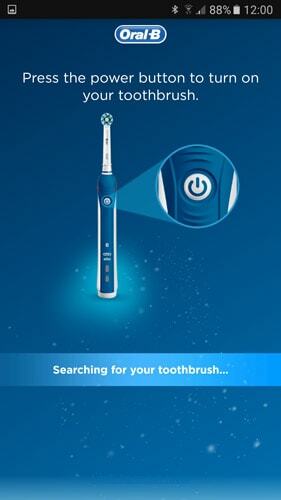 Check the links below for the cheapest price for the Oral-B Genius 8000 amongst UK retailers. It’s always worth checking eBay too. 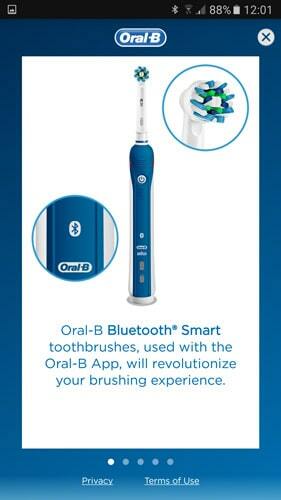 2014 was the year in which Oral-B brought to market the Pro 6000. 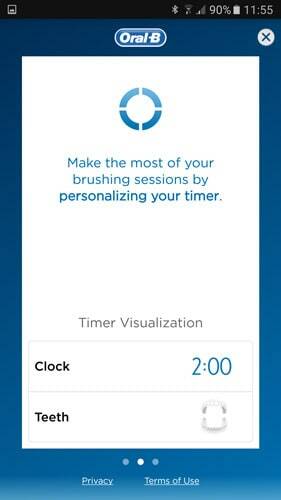 At the time is was quite a revolutionary brush providing Bluetooth connectivity and logging of your oral healthcare routine via an app on your smartphone and tablet. However, 2 years on and 1 million downloads later, such a brush and feature set has evolved into the Genius 8000 and 9000. 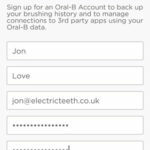 I do see this as a natural progression and whilst many of us are perhaps not at the point where we really see the need or point to log and now actively track our tooth cleaning, there is an upcoming generation where such can be seen as almost second nature. 5 cleaning modes – With a variety of cleaning modes, this brush has almost all users covered and is particularly beneficial if the brush handle is shared by more than 1 user where each user has different needs or preferences. Whilst most users will require the standard daily clean mode, with the 8000 gives the option for change and optimised modes to be used in different scenarios. Pressure sensor – Applying too much pressure can do more damage than good. Brushing hard is not the answer as bristles of the brush head should skim the tooth surfaces. Thus the built in pressure sensor that includes a visible red light is a great way of understanding if you are applying too much pressure. Particularly useful if you have not had one before and do not know how much pressure to apply. Battery life – Still not perfect or as good as Philips, the extra 2 days of usage time compared to the Pro 6000 makes the Genius more compelling with a total of up to 12 days battery power. 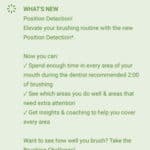 App and position detection technology concept – Innovative and encouraging it is, the process of using and getting setup is timely and can feel overkill for a 2-3 minute tooth clean. You need to be dedicated to use it. 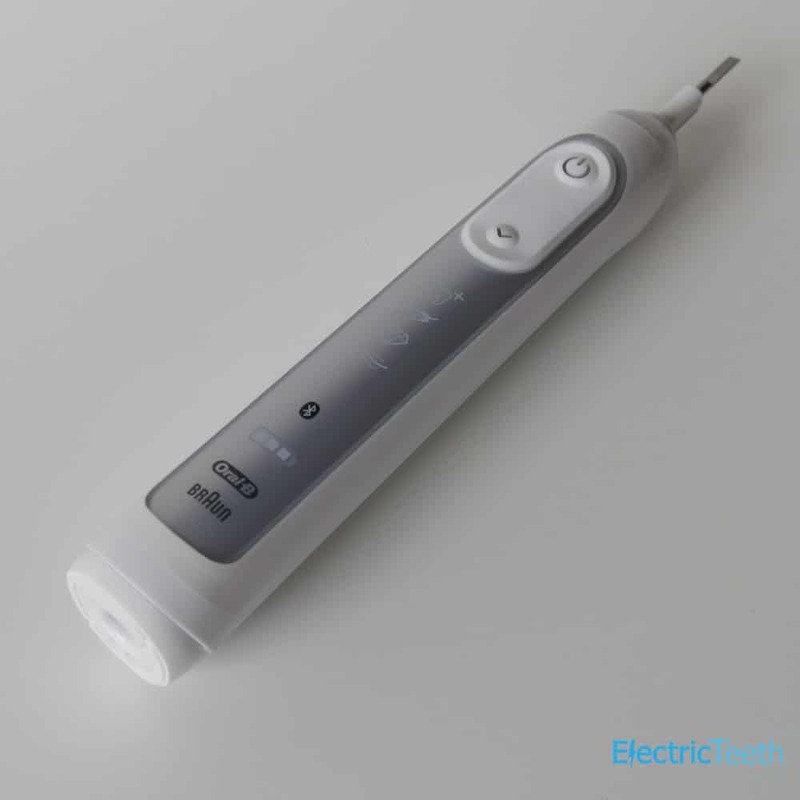 No UK charger – No electric toothbrush I have seen comes with one. Instead they all come with a 2 PIN adapter which is designed for use with an electrical outlet (shaver socket) found in a bathroom. 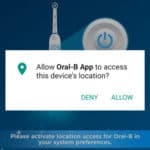 It would be a nice to see Oral-B include an adapter for those who do not have an electrical outlet in their bathroom and need to charge their brush from a more traditional 3 PIN UK mains socket. The 8000 along with the slightly more premium 9000 is the best of what is available in consumer toothbrushes of 2016. There a 5 cleaning modes on this model along with a pretty decent box contents, pressure sensor, multiple brush heads a travel case and built in timer. 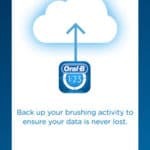 Now you may be thinking that many other brushes from Oral-B or other brands comes with such. Which is fair, but where the 8000 comes into its own needs a little more explanation. 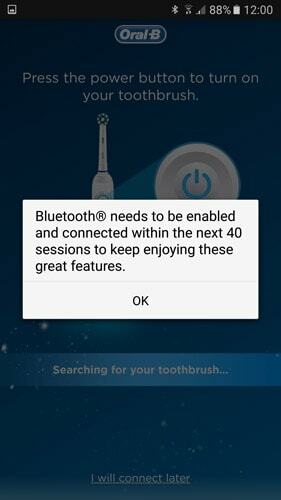 The Genius range of brushes offer Bluetooth connectivity, this is something that has been available from 2014 on select Oral-B brushes (see Pro 6000 review), but it has been improved with Genius to take things to the next level. 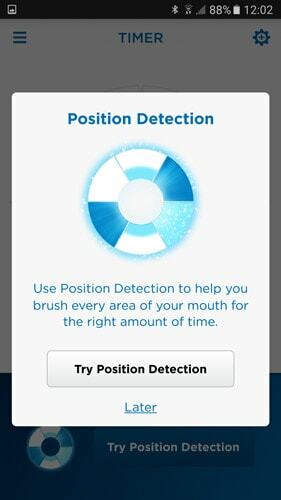 Pairing with your Android or iOS device via the Oral-B app (download for Android here and iOS here) the new 4.1 version of the app has ‘Position Detection Technology’. 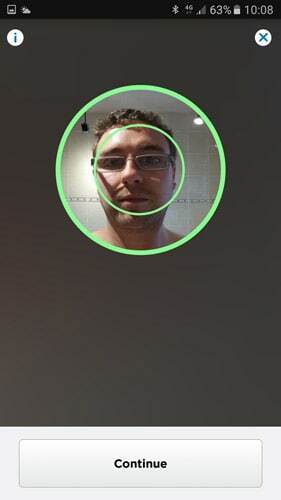 The app uses the front facing camera on your smartphone to track the actual position of the 8000 inside your mouth when in use. 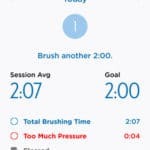 It takes this data and displays this on the smartphone screen, giving instant feedback to highlight and direct you to where you have missed and where you need to clean next. The idea and logic behind this is that it is supposed to act like a coach or mentor or be like having a dentist or hygienist looking over your shoulder saying good, bad, brush for longer, you missed a bit. Thus the motion tracking in the Genius range comes from such studies that identify clearly the need for such. 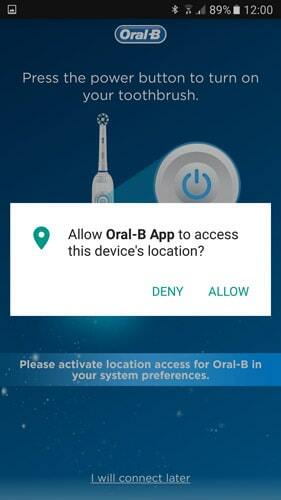 Whilst it is up for question as to whether Oral-B’s implementation is the best route to go, it is a logical one and perhaps to me the most obvious option as more and more of us have our smartphones on us all the time and often pay more attention to what they are telling us more than other humans sometimes. Such a shift and education process does require more hardware and attitude to the process of brushing your teeth which should be happening twice a day. Included with the 8000 is a smartphone holder, which is designed to suction to a flat surface like a mirror. 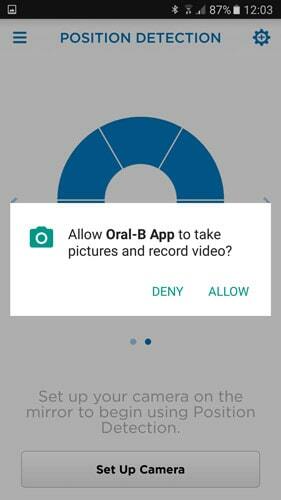 The adjustable arms on the holder then accomodate the phone and used the device’s front facing camera to watch what goes on during the brushing process. I mentioned in the pros and cons section of this review, the pressure sensor. 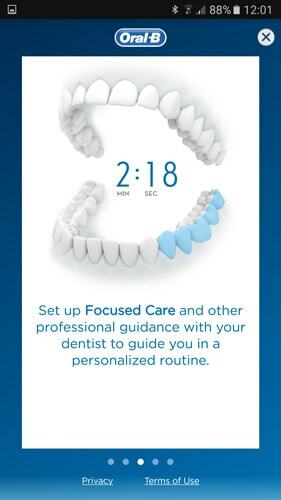 Designed to reduce and stop gum and tissue abrasions that are caused by excessive pressure being used when brushing the teeth should you do just this, the triple pressure sensor technology gives a visual notification via the Oral-B app and through the LED SmartRing which illuminates red. The brush will automatically reduce the head speed and stop the pulsation until the pressure is reduced. Although not new to the Genius range, another noteworthy and easily overlooked design feature, which is actually scientifically inspired, is the rounded brush head. Small and compact you can generally get the brush head into all the hard to reach areas of the mouth, which is not as possible with some other brush heads shaped differently. 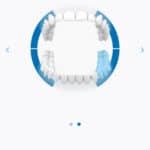 It is a small but noteworthy thing and only when comparing them side by side and using them will you notice how with an Oral-B brush you get deeper into the mouth and retain a greater level of movement which doing so. Last and by no means least on the new and different feature is the SmartRing which is a multi color 360 degree lighting system at the neck of the brush. Featuring 12 different coloured lights, you can customise the illumination via the Oral-B app. So if you like red, blue or pink, the choice of the colour is yours; but it will still flash red if you brush too hard! Having now covered these key differences, let’s’ look in more detail at all of these and more to see what the brush is really like to use on a day to day basis. 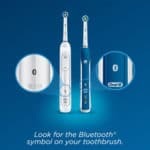 Aesthetically the 8000 has seen some improvements in comparison to the Smart Series which it supersedes and there is clearly a link between the design of the Pro and Genius range, it is distinctly Oral-B. Slimmed down a little in the profile to the older Smart Series, the Genius has a more uniform cylindrical body, that is larger than that of the lesser featured Pro series which sits below the 8000 in the range. The physical size is as a result primarily of the larger battery, which will last up to 12 days. Considering the size and weight of a brush might not be your first thought, but you will likely be surprised by what impact it can have on your overall use and comfort of the brush. It it is too heavy or awkward to hold then it will leave you less likely to use the brush for the desired time or longer, often cutting short the cleaning cycle. The 8000 measures and weighs and ergonomically comfortable 24cm tall with the brush head attached and 2.7cm wide and 3.2cm deep and weighs 140 grams. Made from a robust plastic, the 8000 comes in a white colour finish option only. The plastic is resilient to the water, bacteria and toothpaste that it will come into contact with. A fully sealed brush it can be used in the shower, rinsed off under a tap etc without issue. Don’t go taking the brush for a swim, but it is designed to resist water. The front of the brush is less clinical looking than models before it, with an increased number of icons that actually makes the brush more practical as icons which become illuminated in use actually show which cleaning mode is activated and running on the brush, although daily clean, the standard cleaning mode is missing. A break in the plastic body makes way for a tall, essentially rounded rectangle shaped panel. Within this is a similarly shaped yet smaller rubber panner in the upper third that has the power button and cleaning mode button. Below this are icons for the different cleaning modes (well 4 of the 5 available anyway) which is silver in colour which contrasts well with the white that forms the rest of the brush. To change the cleaning mode it is a case of pressing the cleaning mode button (downwards facing arrow) under the power button and continuing to press until the desired cleaning mode is reached and the indicator illuminated. Gone is the blue light from the previous Pro 6000/6500 models and now it is white light. I preferred the blue, but white is probably more appealing to all users in general. On the rear of the brush is a contoured rubber grip which assists when holding the brush for grip, especially when wet. It is generally smooth to the touch but grippy with a series of indented dots. Many other models have raised lines on the back here, but the 8000 has a smoother finish which gives it a cleaner and less rough to touch feel. On the neck of the brush is where you find the LED SmartRing, the component that can be customised via that app to one of 12 colour options. My personal favourite is blue. It illuminates when in use and should the pressure sensor be activated it will illuminate red. 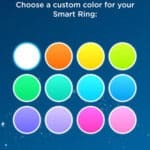 You can see the SmartRing in action in this video. 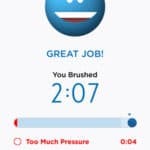 If using the app at the same time as brushing, the screen on the app will also illuminate red and tell you to reduce the pressure should you apply too much to the teeth. Therefore when using the brush you have up to 3 signals to tell you too much pressure is being applied. YOu have the red SmartRing, the message on screen in the app and the sound change as the motor reduces the power delivery. Whilst the 9000 is available in Black or White, the 8000 is available in white only. It is a bit of a shame, but overall I think the white colour is actually the better option. All of the accessories provided with the Genius 8000 are also white, that includes the smartphone holder, charging stand and brush head compartment. 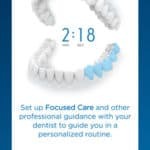 All these modes, with the exception of Pro Clean are standard cleaning modes found on previous/other Oral-B models, although not all models have every mode. The Pro 6000 and 6500 is the only other one to date to offer all of these. The Pro-Clean mode replaces what was known as Deep Clean mode that is available on the Smart Series Pro 6000 and 6500. Pro-Clean provides an intense clean feeling with 3,000 more movements per minute than the more standard Daily Clean mode. 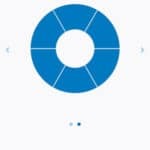 To find out more about each cleaning mode and the best brush head to use with it, read this post which explains the Oral-B modes available. 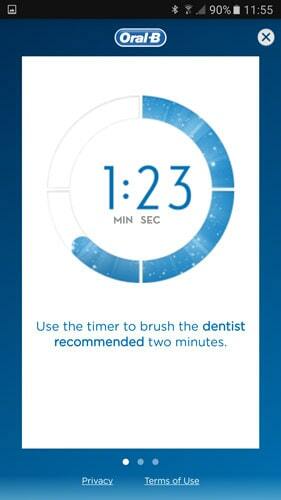 Typically the cleaning modes last for 2 minutes each and this ties in with what is recommended by Dentists. The built-in timer has 2 modes, the standard 2 minute or professional. 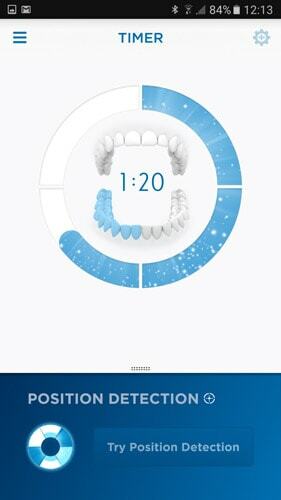 With the 2 minute timer it signals with a long stuttering sound and a flashing light of the smart ring that the 2 minute brushing time has come to an end. With the professional mode (came preset out of the box) the quadpacer on the 8000 kicks in. 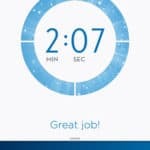 A short stuttering sound and flashing light of the Smart Ring at 30 second intervals to move to the next quadrant of your mouth. A long stuttering sound and flashing light indicate the end of the professionally recommended 2 minute clean. You can change which timer profile you have enabled. To change this, press and hold the mode button for 2 seconds. 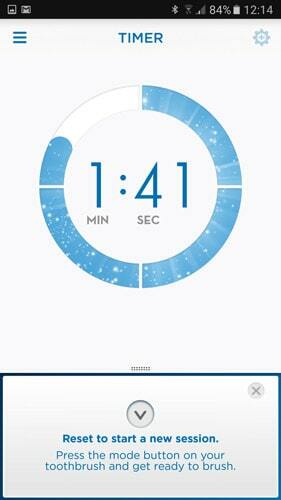 Toggle between timer selection by pressing the on/off button. 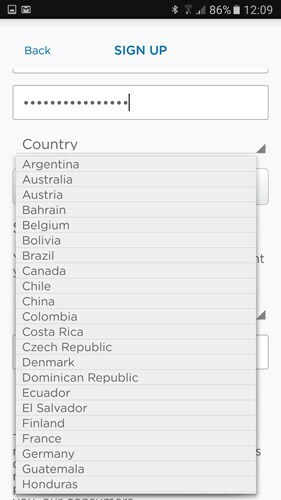 Confirm selection by pressing the mode button. 2 LED’s illuminated indicate 2 minute timer and 4 LED’s illuminated indicate Professional timer. 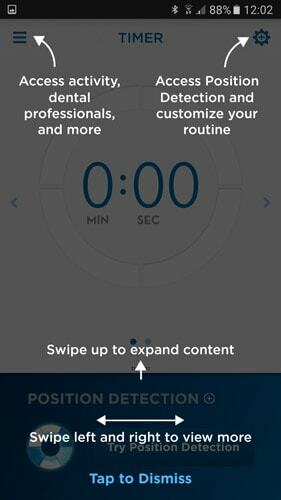 More advanced timer options come via the app. The mouth is made up of 4 quadrants, so you spend 30 seconds cleaning each. If you are using the app and the tracking, the app will signal to you it is time to move on and where to focus next. 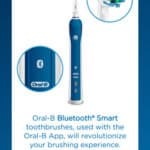 If you have ever seen or used the Smart Wireless Guide that has come with some Oral-B models you will understand just how useful it can be. 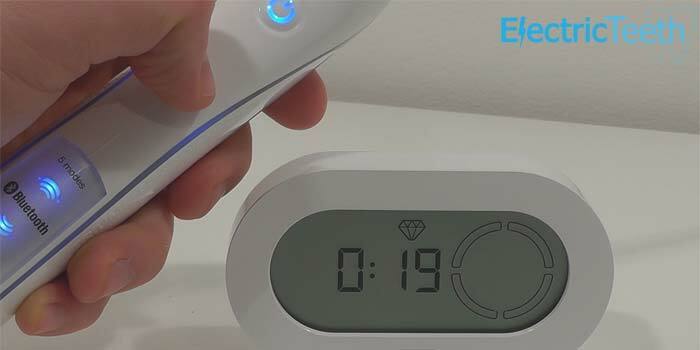 What it is, is essentially a portable clock and timer that shows your cleaning mode you have activated, how well you are brushing (via a smiley or sad face and star rating) and how long you have been brushing for. The compact component is powered by 2 AA batteries it could sit on a shelf or attach to a wall with an adhesive pad. 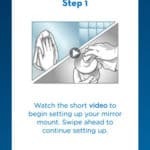 It does nothing more than what the app does, but I believe a very convenient solution to encourage better cleaning when the app is not in use. Sadly it is not included with the Genius. 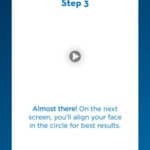 Understandable because the app is there, but as you will discover, its another option to the not always practical app. If you really want the Genius, but still want a Smart Wireless Guide, I can confirm that they do work with the 8000 from what we have found with our testing. 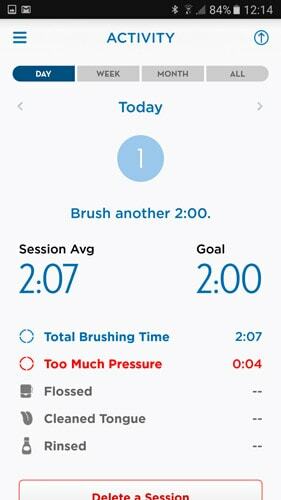 The Wireless SmartGuide is not included with the Genius brushes, but they do work with it. The brush heads provided with the 8000, use an oscillating rotating and pulsating motion as shown in the following animated image. This is a proprietary technology that helps clean tooth by tooth reaching areas that are often missed. Although 3 brush heads are supplied, they are interchangeable and it is advisable to use the appropriate brush head with the appropriate cleaning mode, although any cleaning mode can be used with any brush head. 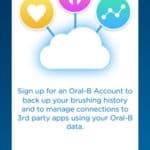 You need not be limited to the brush heads in the box and you can use any one of the 6 brush heads that Oral B offer as suitable for this brush. You may need to purchase these separately. The Cross Action brush head relies on hundreds of bristles that are angled in different directions. 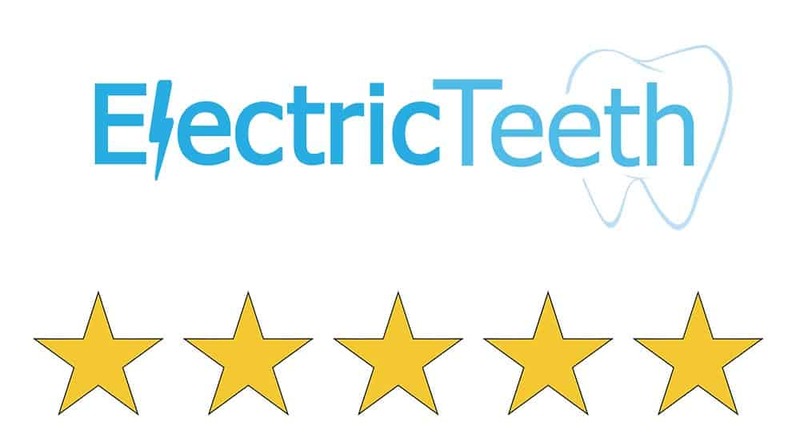 It has been scientifically engineered, to ensure the bristles cross over different parts of the tooth surface more effectively than those brush heads that have standard straight bristles. The Sensitive brush head has softer bristles that are not angled and are less abrasive on the teeth and gums. Ideal if you have or suffer from increased sensitivity. The 3D White brush head has a polishing cup in the centre of it which helps buff teeth up to give them the dentist shine. It is worth noting the colour of the bristles on the 3D White brush head has changed for the Genius range and may on first glance not look familiar if you are used to the look of these brush heads. For the best advice on which brush head is right for you we advise speaking to your dentist. Included in the box with the 8000 is a charging stand, but also a moulded piece of plastic complete with a lid which offers a home to additional brush heads. This protects them from dirt and dust and vies a safe place to keep them. Ideal if you use different brush heads or have brush heads for different users. When the brush requires a charge the last battery bar within the translucent battery icon on the lower third of the brush handle will flash red. It will then light up when charging. If the power in the handle is extremely low, the battery will require at least a 30 minute charge. So to the app and the facilities that it offer. 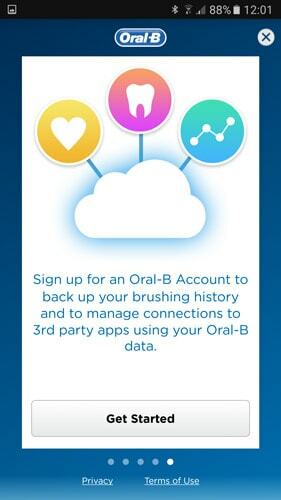 Version 4.1 is the earliest version of the Oral-B app to support the Genius range of electric toothbrushes. 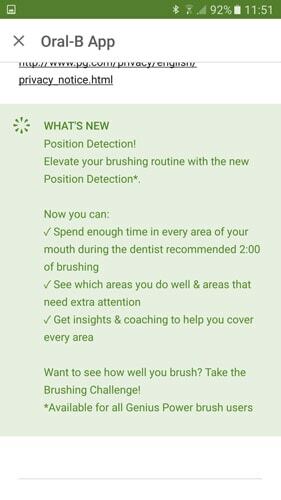 It brings to the app the position detection technology, improved professional guidance, dental care journey and brushing challenges. The app will run on most Android or iOS devices. And uses Bluetooth on your phone and the 8000 brush to pair. 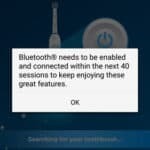 Your smartphone must have Bluetooth 4.0 as a minimum for compatibility. The following video demonstrates the pairing process along with how to actually use the Genius toothbrush. 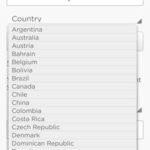 The app is very comprehensive with lots of options, too many to go through completely in this review. 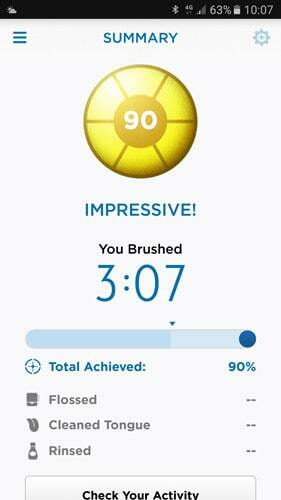 It gives you all you need though to not only effectively brush your teeth, but to log the cleans and motivate you. 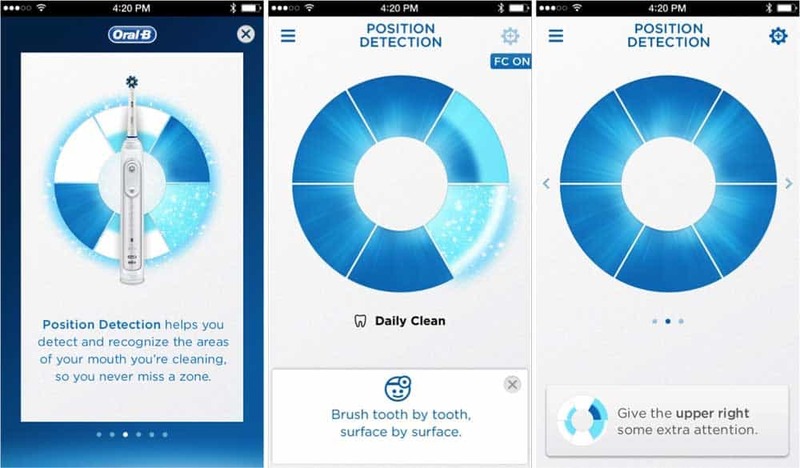 Of course the big part of this is the Position Detection Technology which uses the smartphones camera, the app and the brush to show on screen visually where you have and have not cleaned and shows you how to brush all zones in the mouth evenly and equally. Anyone of any age can use and learn from the feedback it gives. 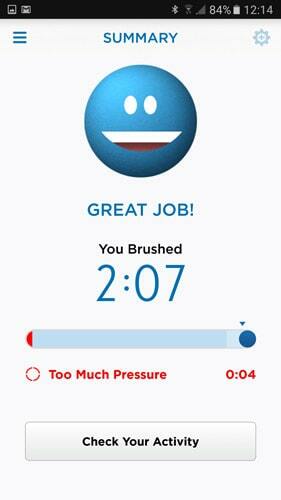 Challenges are presented to you allowing you to obtain a score based on how well you brush and improve your habits. Brush better and for longer and you ate on the road to success. Gain badges for achievements and share socially if you chose. 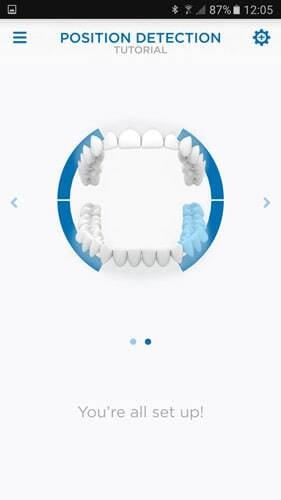 The Professional Guidance feature allows you and your dental professional to work together. 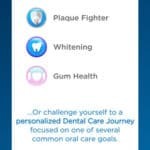 Actually share and discuss improvement areas and have your dentist actually program into the app extra brushing time and adjustments to your cleaning modes. 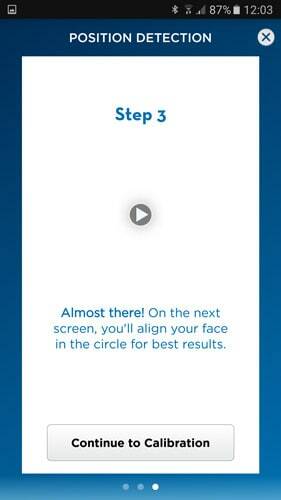 Now we have spoken about all the magic that is the Oral-B app for tracking the clean, you need to hold your smartphone at face height to actually do the tracking. Easier said than done. You could hold it in your hand, but unless you have some super power that means you can hold your phone perfectly positioned for 2+ minutes and clean your teeth, then the provided smartphone holder will come in use. 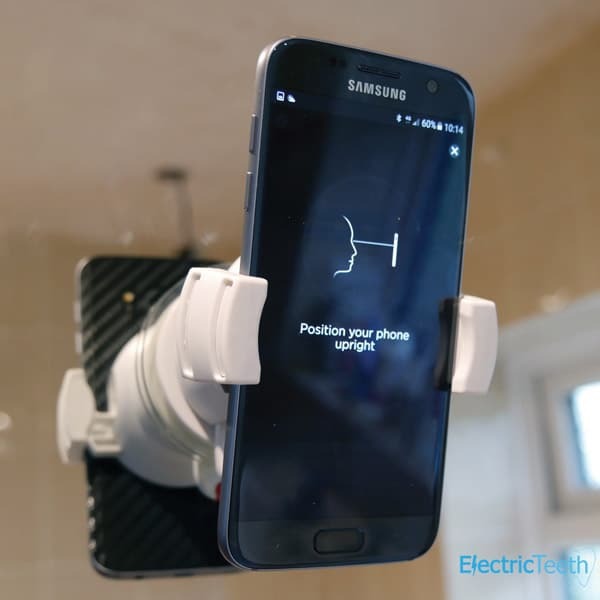 Best described as a smartphone holder you would use in a car and attach to the windscreen, used in the home and attached to a mirror! It is a more clinical and perhaps suitable in white; more fitting for the bathroom scene. The suction cup will attach to mirrors and in some cases tiles. 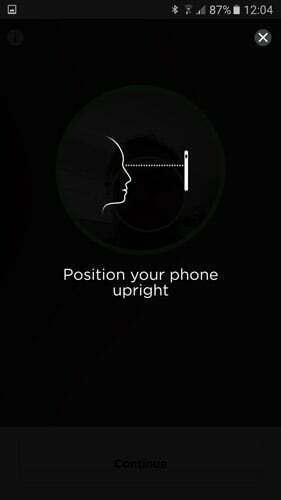 Do make sure it is secure before mounting your phone! There is a lever to lock it in place and unlock the hold along with a tab on the suction cup to further release the holder. The universal holder can be adjusted to fit many smartphones of varying sizes from 58mm wide through to 83mm wide. If you are using a Samsung Galaxy S series or an Apple iPhone 6S Plus even, it will fit. 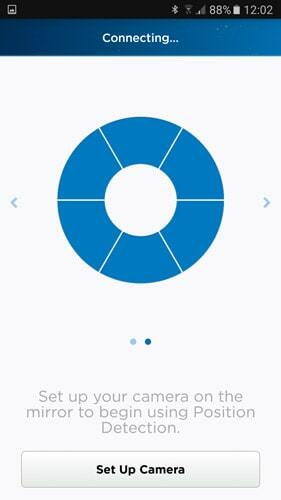 There is then a full 360 degree rotation option. 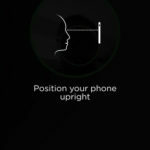 For some phones the button placement may interfere with the adjustable arms to do consider this when docking the phone. It is a practical addition and can move with you. That said, you are likely to mount it and leave it as I assume you generally speaking brush your teeth in the same location each time. The particularly house proud may not like the holder on show and I certainly wonder are there other or better options?! Due to my mirror position and my height, during use the only practical position was virtually in the middle of the mirror, which is a bit daft when you want to use the mirror for other things such as looking at yourself whilst doing your hair. You have a smartphone holder in the way unless you move it. If you want the modern technology but want to keep your own logs, this is where the dual handled Genius 8900 comes in. 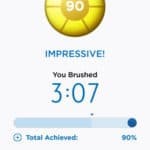 Even for me, even as someone writing about toothbrushes, I find it hard work and difficult to make set up the smartphone in the holder with the app, a bit of a chore and although it may take 15-30 seconds, that’s around 25% of the time I would spend cleaning my teeth. 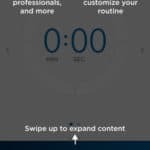 It is not to say I have not found a routine, but I have not perfected it and am finding that I may use the app more in the evenings than the morning and probably in total using it 50-60% of the time. 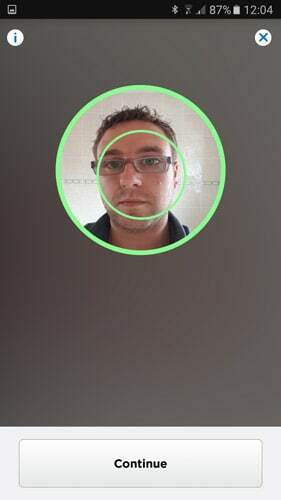 But even with a commitment to use it in the evenings, the app needs to work and to a point it does, but I feel the position detection technology and the overall experience is not there yet that everyone will take the time to use it. There are silly quirks, like the smartphone holder having full tilt and swivel capabilities, but the phone must be perfectly upright for the position detection to track, making the holder mobility almost redundant, but I guess everyone’s mounting locations will be different. 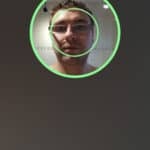 You need to be almost statue still for the app to track effectively. I found it unable to accurately track where I was in the mouth. It was close but often registered in the wrong area. I think this was in part by me tilting my head, opening and closing my mouth more or less as I moved around my mouth. Practice will allow me to get better but how much practice and how ‘still’ should I stay. 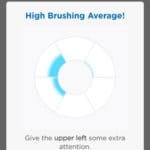 As you brush there are fading blue sections on screen that do act for encouragement and at times the app gets it right, encouraging you to spend more time here and there with a mix of praise and positive feedback. I found myself at times, spending more time cleaning my teeth (this is a good thing to a point) to try and ensure I got all areas of the mouth. 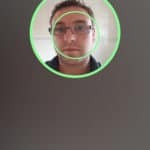 However in doing so, due to the app not registering the areas quite correctly, ended up spending more time in certain areas of the mouth than others. This resulted in the app thinking I had done a splendid job when I know I had not. For those who know they have bad habits could use this combination for a few weeks to learn, understand and perfect their clean, but I see very few really committing to this and using everyday. Even with my desire to make it work it has taken over a week to get close and I still don’t find it perfect. From that I feel that for most the effort for the reward is too high. 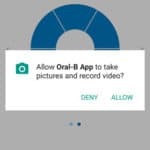 This is perhaps not how Oral-B envisaged or planned the usage, but there is only advantage to be gained from using it occasionally than not at all. 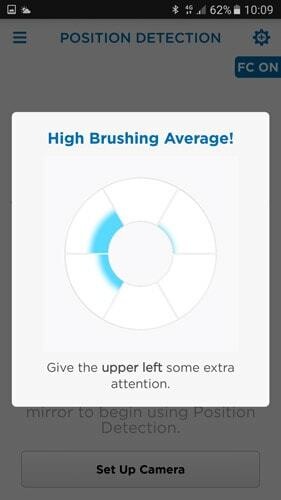 Even a few times a week it reminds you and helps perfect your brushing habits. The travel case included with the 8000 is said to be premium. Yes, it is a bit better than the ones I have seen from Oral-B before but it is still a cheap piece of moulded plastic compared to the very desirable travel case that comes with the Genius 9000. Best described as a white, branded plastic box that holds the brush and two brush heads, is all that is needed but is not as heavy nor does it have the soft touch premium feeling of that supplied with the 9000. A busier front panel with icons that illuminate to show the cleaning mode being used. 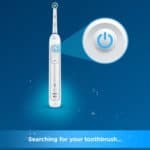 As most of us are generally close to some sort of charging facility for our toothbrush we do not necessarily need them to last a long time, but it can be a hassle or annoyance you do not need or want so if the life of the battery can be extended it is good as it makes everyday use just that little bit more convenient. 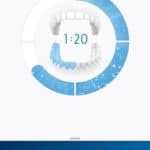 Oral-B has and still does fall behind the competition here with Philips somehow managing 3 weeks or 21 days of usage time compared to the improved 12 days on the Genius 8000. That means that Philips still offer nearly double the battery life from brushes which do not instantly appear larger or heavier to accommodate a bigger battery. 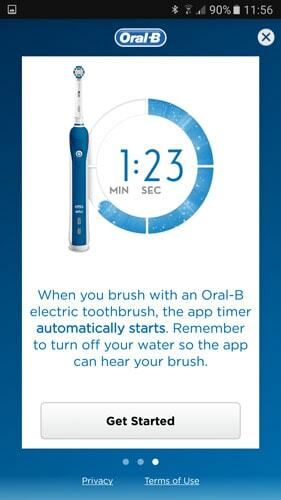 To date, the maximum battery life from an Oral-B brush that I am aware of, has been up to 10 days or 20 cleans or put another way, 40 minutes of usage time. The brushes like the Pro 6000 that offer this have been slightly larger and heavier than the slimmer Pro series model that offered only 7 days or 28 minutes of usage time. 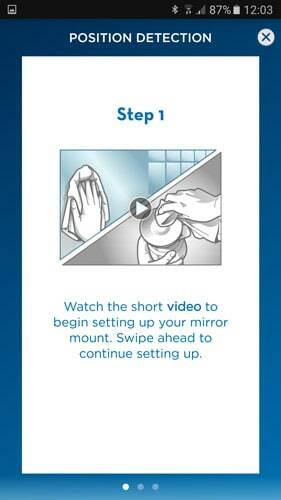 The 8000 now offers up to 12 days of life, if using the standard 2 minute daily clean twice a day. 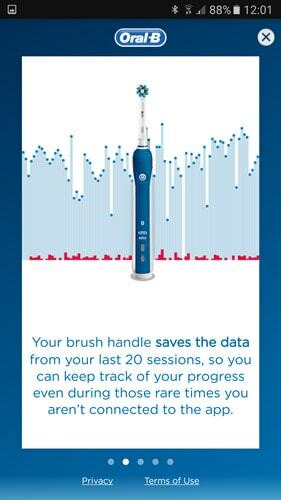 That is 24 toothbrushing sessions or 48 minutes of cleaning. 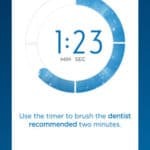 Frequent travellers may demand longer battery life and if this is a must take a look at Philips Sonicare DiamondClean, but if 12 days is ample then great. Included in the box is the traditional charging stand that you can leave the 8000 sat on when not in use. 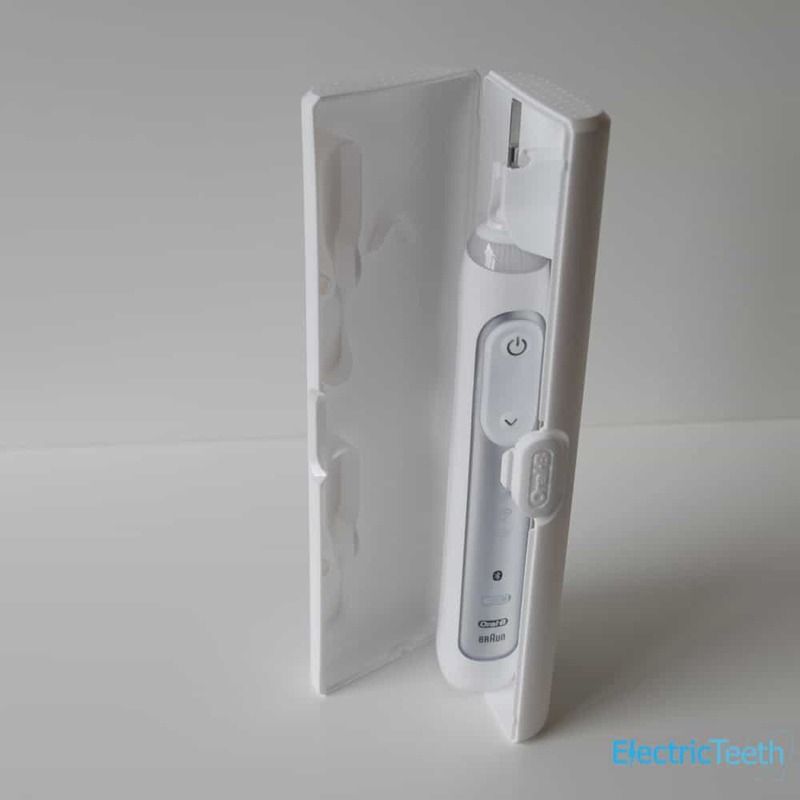 The charging dock itself is white in colour and has a small prong on the top which aligns with a recess in the bottom of the brush handle and will charge the brush fully in about 8-12 hours. I tend to leave it on charge overnight. When charging the battery charging icon pulses with a white light. A bit of a bug bare on the Genius and other models too is that you never know quite how much power is left, is it 20%, 15% or 7% left? The battery status icons flashes when low. The flashing helps but a percentage guide would be useful, but I have yet to see a brush that offers this. I would have thought that the partnership with the app would have allowed this, but sadly no evidence of this. An idea for a future update? The charging dock has a 2 pin configuration so if you want to charge from a 3 PIN UK mains adapter, you need to purchase an adapter such as this. You can quite happily keep the brush on the charger the whole time, it is fine and if you do take the charger away with you to a foreign country the 2 pin adapter on the charger will connect to shaver sockets found in most bathrooms around the world but make sure to check whether you need an adapter and converter as the charger in the box supports 220-220v. The 8000 has a recommended retail price of £269*. It is not worth paying this price. In fact we can confidently tell you that from the official launch day in July 2016, the price the brush was sold at was £130, despite the RRP of £269. That is £139 off the price! We have included a live price comparison of UK retailers here. 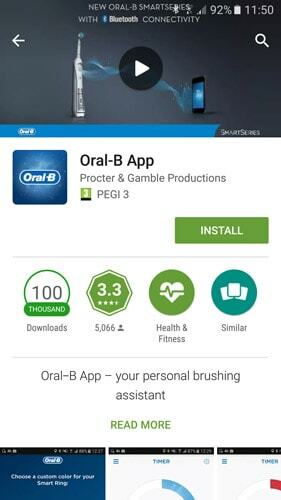 The brush used in this review was paid for and not supplied as a sample from Oral-B. I paid the aforementioned £130. There is nothing to say that other outlets may not sell it for more, but it is evidence that if you can get it for half the price on launch, it is not worth that price. Typically prices come down over time and the 8000 probably will but there is unlikely to be the level of discount applied that already has! 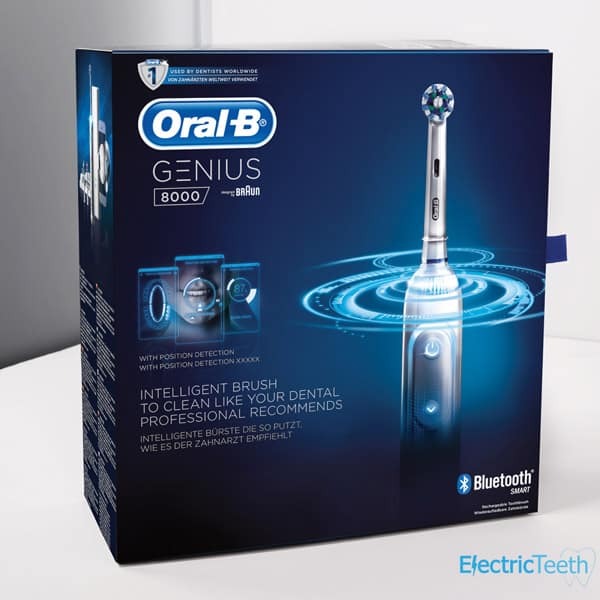 The Pro 6000 electric toothbrush is essentially replaced by the Genius range. When the Pro 6000 launched in 2014, the RRP was £230. Some 2 years later the average sale price for this brush is down to £75, which is over 60% less than the RRP. By this calculation, the 8000 will drop nearer the £100 if not eventually under it. It is not for me to tell you what to pay, but I would not be doing a justice to you if I did not tell you what cost you should expect to be able to get it at. We like to offer up a figure for what we believe to be an average cost of ownership of this toothbrush. So I present 2 examples here, one at the full RRP and one at half price. Using the average cost (based on one user) and ownership over 3 years (the same as the warranty period), the 8000 will cost £302 or 28p per day to own, if purchased at full price. When purchased at a more likely £130 (half price) the cost will be £163 and 15p per day. If cost is a big factor, whilst the 8000 brings some benefits, you may wish to consider the Pro 6000 for a reasonable cost saving. Will likely drop in price in 6 months or so. When you invest in something if it is £5 or £500 you want it to last for a reasonable amount to time relative to its value and the job it is designed to do. 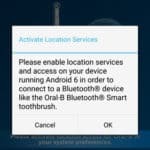 By the very nature of an electric toothbrush it is subjected to conditions that often do not bode well for normal electronics. Oral-B have many years of experience behind them, so you can be generally assured of a high product quality and reliability. Inevitably sometimes products will fail but the Genius 8000 is backed by a 2 year standard warranty and an optional third year, if you register the brush online. The weakest point is the battery. After repeated charges and discharges it can fail and should it, they are not easy to replace. You should get in the routine of depleting and recharging the battery regularly to reduce the chances of failure. Remember, register your brush online to get that third years warranty, because should it fail in this time it will be covered. 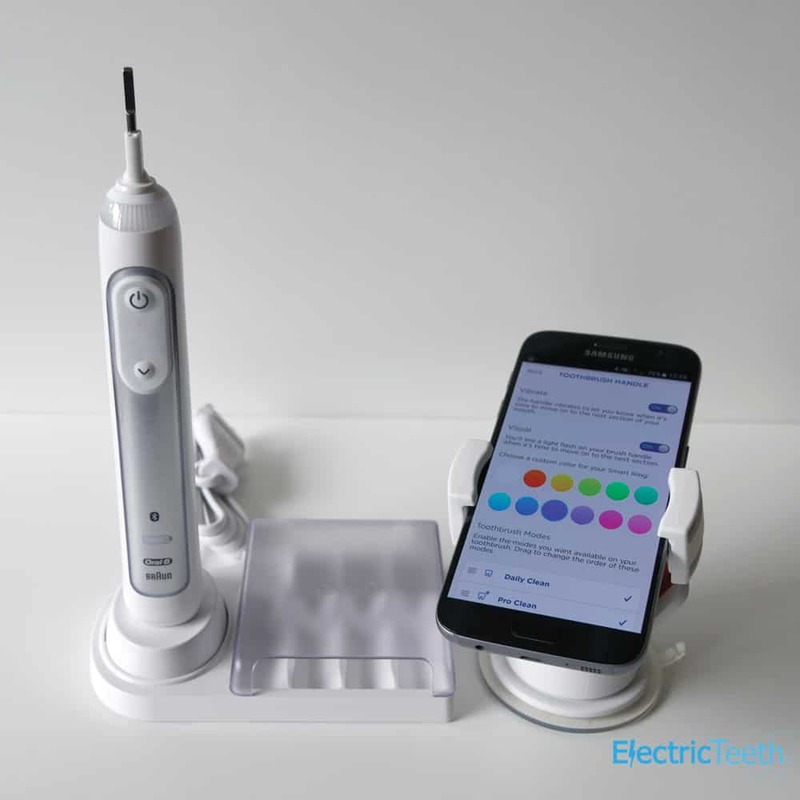 When reviewing any electric toothbrush – the 8000 included – we look for possible weakness areas and highlight you to them. As we write this review we can see no obvious weaknesses or reasons to feel that the 8000 series will not survive the test of time. Having used the brush for a few weeks, it does not really allows us to give definitive feedback for long term use but we will be using this brush in our team for the foreseeable future and will report any issues that occur over a longer time period if we find any. A bit of advice we can give to prolong the life of any brush is giving it a rinse and a wipe down to remove grime that builds up as such can affect the brush over the longer term. 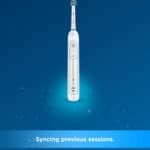 Few brands really exist in the electric toothbrush space, the dominant players are Oral-B and Philips and for good reason. 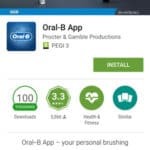 Oral-B is perhaps the most widely recognised and promoted brand within this space and ultimately they have the share that they do, due to producing good products that people are happy to use. When you consider what you really want a toothbrush to do, it is to help you clean your teeth in a way that is superior to a manual brush and can help you avoid long term problems with your oral health. Your decision to invest in an electric brush may come before or after having healthcare issues but either way the Genius 8000 can help. 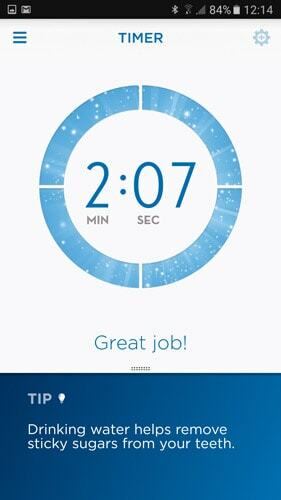 Sporting various cleaning modes along with a great design and pretty decent battery life the 8000 ticks the boxes for a lot of people. No, it is not perfect, but find me something that is for everyone?! You can get a perfectly functional brush for a lot less but still gain many of the benefits, notably the Pro 2 2500. 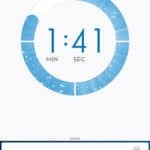 But, in time the much touted tracking will get better and through habit you can get used to doing this and there is an improvement in the battery life on the Genius range. In addition, sometimes it is the bits we do not pay a lot of attention to that really help us and improves our experience. 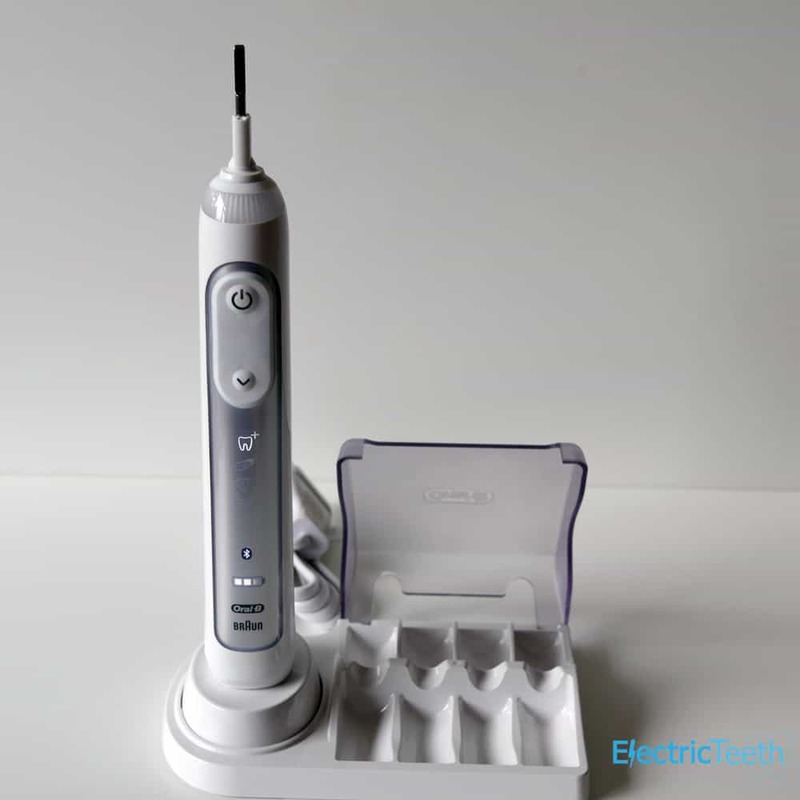 The small brush head allows us to get deep into the mouth with less restriction, the various cleaning modes help tackle different healthcare problems and the various brush heads included helps with this. If you can justify the price point, I would urge looking at the Genius 9000 which bring some small but worthwhile benefits and is the better buy. 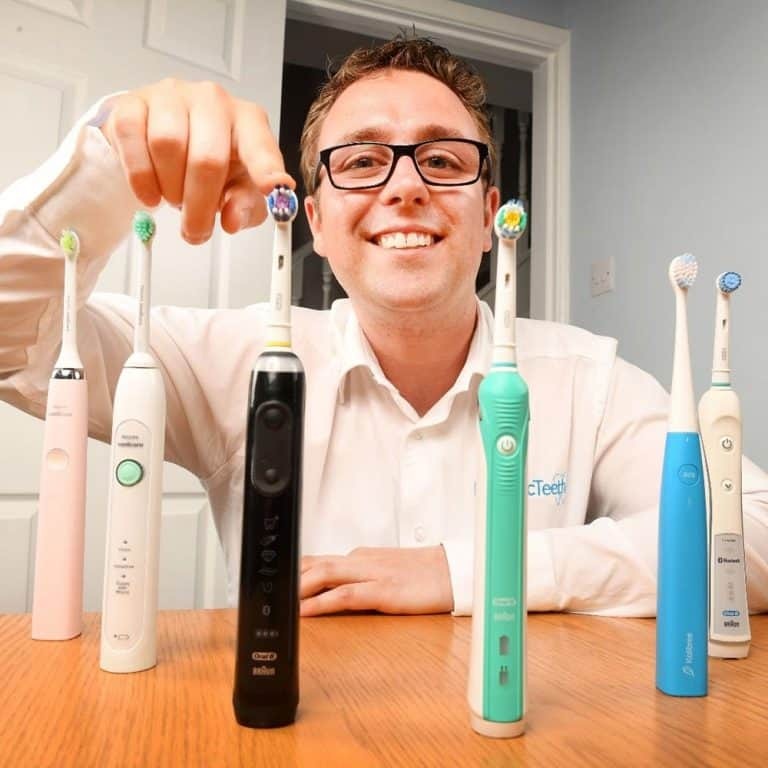 A decent box contents, great cleaning options, superb support and design, despite some shortcomings (battery life, noise, colour options) the 8000 sets a benchmark for the future of oral health. Is the 8000 an oscillating brush? No, the 8000 has 5 cleaning modes. Daily Clean, Gum Care, Sensitive, Whitening and Pro-Clean. Only the Genius 9000 offers more with a tongue cleaning mode. If you want less modes, the Pro 4000, 3000, 2000 offer such or for just one mode then opt for the Pro 600 or 650. With the 8000 you get 3 brush heads included, a Cross Action, Sensitive. and 3D White head. You can change the head with any others on offer from Oral-B. There are many that work with the brush handle. These options include Cross Action, Floss Action, 3D White, Sensitive, Precision Clean, TriZone, Pro-Results, Power Tip and Ortho. Does the 8000 have a pressure sensor? Does the 8000 have Bluetooth? Does the 8000 have sound connectivity? What is Position Detection and what are the benefits of using it? 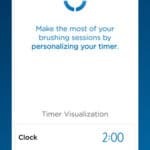 When using the 8000 CrossAction electric toothbrush, Position Detection unlocks enhanced features within the Oral-B App, including self-tracking, personal statistics, game mode, and encouragement to maintain good techniques, which all lead to helping you to brush like your dentist recommends and never missing a zone. Does the 8000 come with a warranty & how long is it? 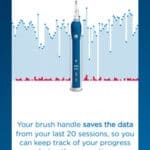 If purchased new from an approved retailer the 8000 will come with a 2 year warranty which can be extended by a further year to 3 in total if you register the brush online on Oral-B’s website. Does the 8000 have a built in timer? No, the 8000 is designed to work with an app on your smartphone, pairing via Bluetooth and therefore does not have a wireless smart guide included in the box. Older models including the 2014 variant of the Pro 5000 along with the Pro 6000 and 65000 offers this. That said, the 8000 does work with a wireless smart guide, if you have one. Yes. it comes with a 2 pin charger that will connect to a shaver/electrical socket in a bathroom. The traditional charger is a 2 pin/prong charger designed to be used on voltages of 220-240 volts. It is a 2 pin charger suitable for connecting to shaver sockets found in many bathrooms in the UK & Europe. If you do not have a shaver socket, you can purchase an adapter that will allow the charger to be connected to a standard 3 pin UK mains socket. There is also the 2 pin charger that connects to the travel case. This supports 100-240v and may also require an adapter to connect to certain power outlets. 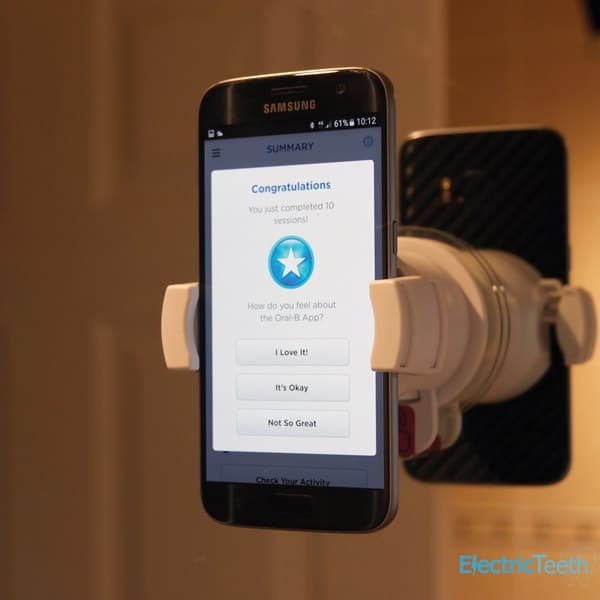 The 8000 charging station or brush head holder has not been designed to be fixed to a wall. Can I use the 8000 in the shower? How long does the 8000 take to charge? When completely flat and out of power the 8000 will need at least 30 minutes on charge. The traditional charging stand supports voltages of 220-240v. The charger for the smart travel case supports 100-240v. Both may require adapters for use in different parts of the world. Can the 8000 be charged via a USB cable? Not a UK model – 2 pin not 3 pin plug? 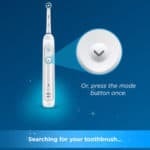 The 8000 and all Oral-B brushes made for the UK come with a 2 pin connector on the charging cables. This is because they have been designed to be used with power outlets found in bathrooms that use a 2 pin configuration. If you do not have this, you will need an adapter such as this one from Amazon to be able to power the brush. Is the 8000 quieter than other brushes? 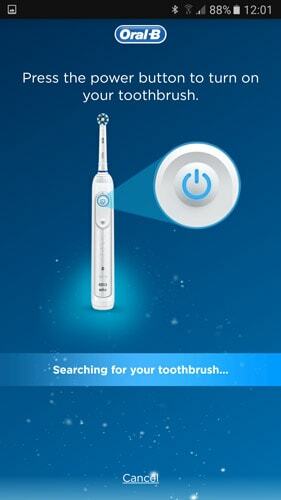 No the 8000 is quite loud and no quieter than any other Oral-B electric toothbrush. For the 8000 to work in the USA, you will need an adapter. An example is this one from Boots . 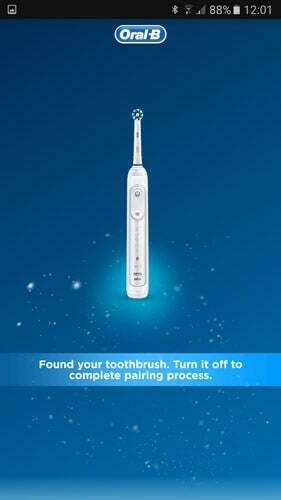 It allows you then to use the power from US sockets to charge the toothbrush. Is the battery in the 8000 replaceable? What size phone does the smartphone holder take? The smartphone holder will accommodate phones from 58-83mm wide, this includes larger phones like the iPhone 6S Plus. What are the part numbers or types for the 8000? 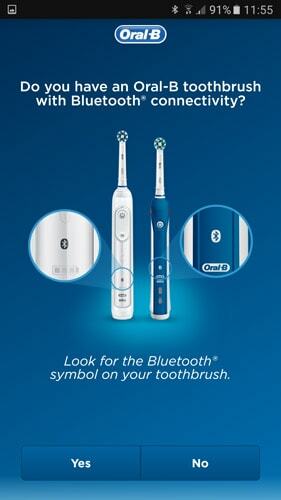 Do you own or have you used the Oral-B 8000? Recently bought the 8000, was wondering whether it’s okay to leave it on the charger everyday after brushing before I go to sleep . I mean, since it can last up to 12 days, isn’t it better to not charge it until it flashes red? 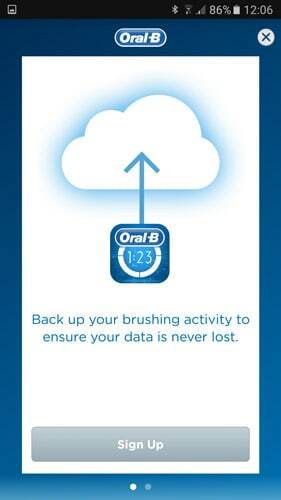 I would always leave my old Oral B brushes on the charger, because those didn’t have a 12 day capacity. It is fine to leave it on the charger. 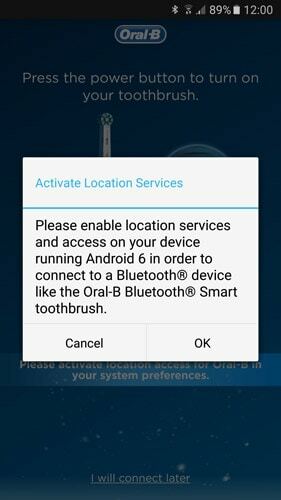 The words from the Oral-B manual are “You can always store the handle on the plugged-in charging unit to maintain it at full power; a battery overcharge is prevented by device”. Some will for peace of mind prefer to take it off the charger, so that it is not always being topped up as it were. I’ll just leave it on the charger then. 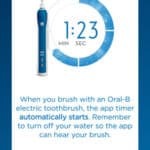 I recently bought the Oral B 8000, however during brushing it there is a slight hesitation while I brush. Is this normal or should I return this item back to Amazon as defective. Hi Lillie. What do you mean by hesitation? Can you give a bit more detail? I would be brushing then there is a little stop and go hesitation, could it be a timing thing? 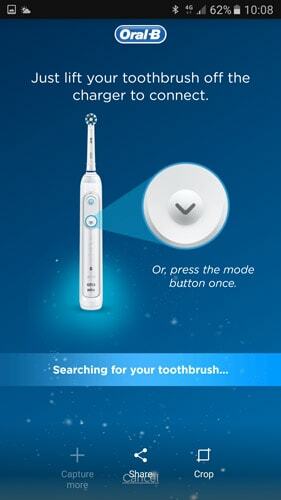 My brand new oral b genius 8000 was okay at first but now dose not switch between cleaning modes. I chose whitening journy so switching was possible only between the toung cleaning and 3d white(diamond logo), now i want to share my handle with my family and they may use differend cleaning modes than me, so i want my handle to work as before starting the journey. Will you plz help me by this problem? 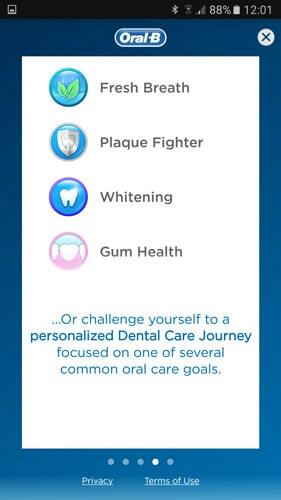 You need to go into the app and cancel the Whitening Journey. If you stop this journey, it will restore the ability to reuse all the cleaning modes. I did, but it didnot work. No especial journey is now running but still the other modes is desabled!!! Is there any way to reset the handle? Odd. 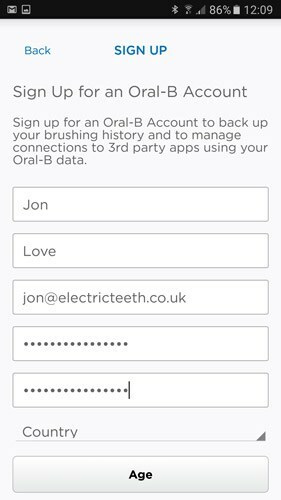 Go within the app to Settings>Toothbrush Handle and scroll to bottom and click the ‘Rest Handle Settings’. That should clear it. I newly bought the dual handle 8900, *and* a separate Smart Guide, which we use at home with one of the handles. The other handle I use at work, mostly on it’s own but have tried it with the app in timer mode; the detection mode I find to gimmicy and cumbersome to use whatever the place. 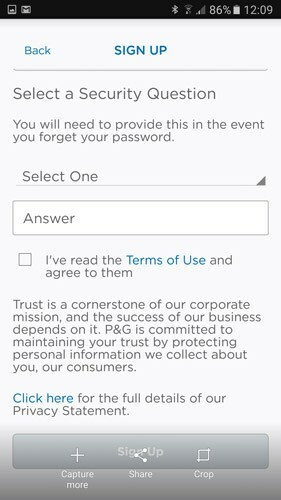 Being able to register multiple users in the app might have made it more useful if only for longterm followup for a whole family. Perhaps some kind of special brush heads colour rings with some kind of identification mecanism will allow this on future models. Thanks for the comments and the feedback. 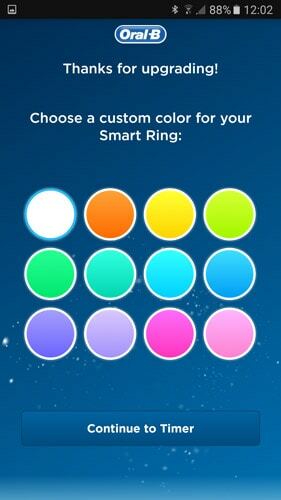 Very interesting idea that the colour rings could alert the app to different users. 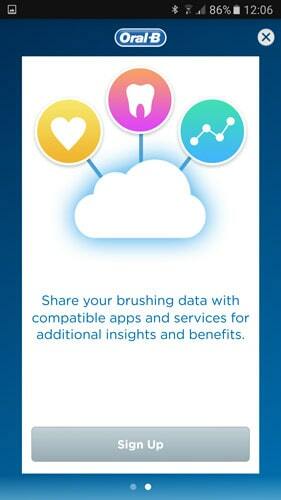 We certainly agree that different user profiles is something that is needed to make the app and the brush more useful. This is still a relatively new technology and feature in brushes so one can only hope that such comes in future brushes and/or app updates.